MOSCOW, August 30. /TASS/. 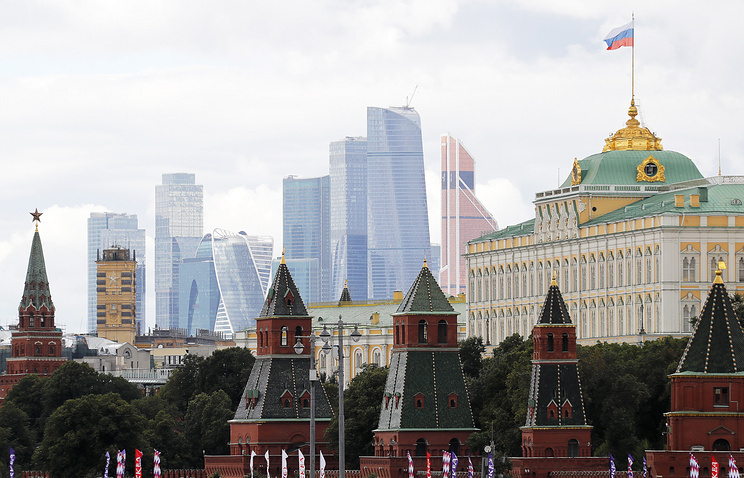 Russian presidential spokesman Dmitry Peskov has said there have been no messages from the United States that might indicate the wish to mend relations or avoid the introduction of new anti-Russian sanctions. "No," Peskov said, when asked if there had been any signals from the US administration showing its intention to compromise and to avoid a second phase of sanctions over the so-called Skripal affair. 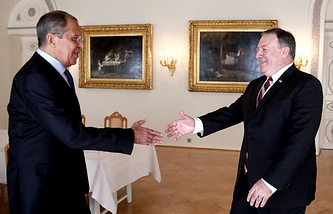 The Washington Post earlier said US Secretary of State Michael Pompeo had asked Russian Foreign Minister Sergey Lavrov for a working meeting in order to discuss key issues in Moscow-Washington relations. The daily said the United States was trying to reach an understanding with Moscow before the deadline when Washington might resort to the second portion of sanctions. The US Administration on August 27 introduced new sanctions against Russia over alleged involvement in the March 4 incident in Salisbury, presented in Britain as the poisoning of former GRU Colonel Sergei Skripal and his daughter Yulia. The first package of sanctions outlaws the export of dual purpose products to Russia, the export of all sensitive goods and technologies related with the United States’ national security and also the oil and gas industry electronics, components and know-how. In three months’ time far harsher sanctions may follow, such as the downgrading of bilateral diplomatic relations or their total suspension, the total ban on all export of US goods, except for foods to Russia, and also on the United States’ import of Russian goods, including oil and petroleum products, a ban on the landings of any planes of Russian government-controlled air carriers in US territory and Washington’s veto on all loans to Moscow from international financial organizations.